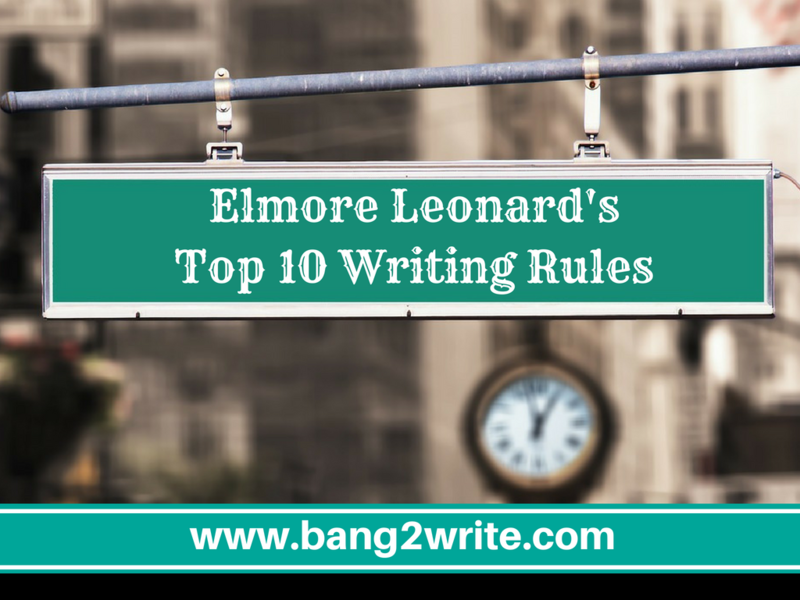 Elmore Leonard’s book, 10 Rules For Writers was published in 2010. 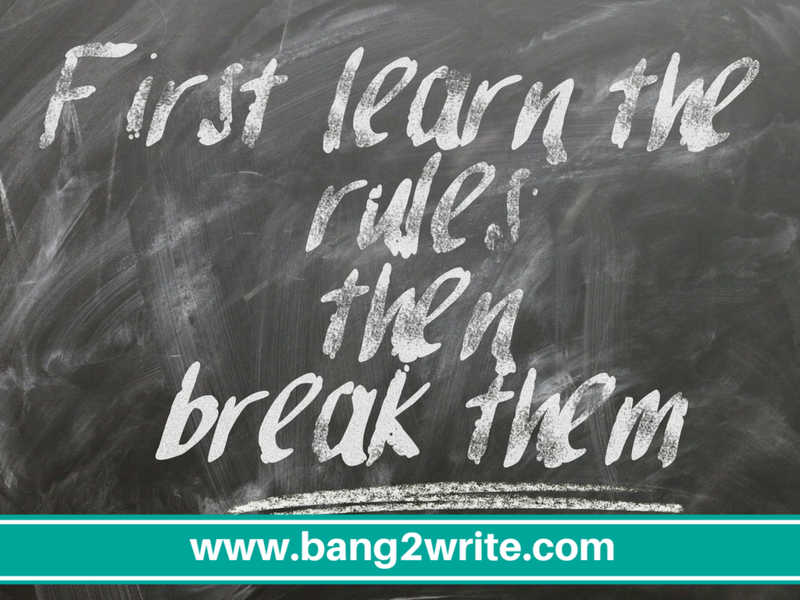 But it’s a summary of that book, Top 10 Writing Rules has become one of the most popular shares and memes amongst online writing groups. No doubt you will have seen this list and been tagged in it many times! (As any veteran Bang2writer knows, I prefer to call them ‘best practices’ rather than rules, but whatevs). Regardless of what you call them though, it’s not difficult to see why the summary of Elmore Leonard’s tips does the rounds so often. It is a short and to-the-point list, plus any writer at any stage of their career can follow them. Gotta agree with Elmore here. We might (mostly) be British here (everyone knows we LOVE to go on and on and on about the weather! ), but starting off a story with it is DULL. Starting with stuff like ‘It was a dark and stormy night’ is also a massive cliché, so avoid like the plague (haha!). There was a while when prologues seemed fairly popular in both novels AND movies, but these days readers and audiences want to dive straight into the nitty-gritty (that said, prologues seem to be coming back, especially in the horror genre). But if you have written a prologue in your novel, don’t panic – as long as it’s good, you can always re-label it ‘chapter one’! VERDICT: Agree mostly, but you can cheat if necessary. Obviously, you never ever, ever use ‘said’ in a screenplay (though you would be surprised by how many screenwriters try!). But as far as novels go, this is an interesting one, because I started off thinking Elmore was wrong on this one … Is ‘said’ that less ‘intrusive’ than ‘grumbled, gasped, cautioned, lied’ (or similar)? Seriously?? Then I started actively looking for words that weren’t said and discovered, actually, they DO stick out far more. In fact, ‘said’ sticks out too – and very often, you don’t need it, either. Readers CAN follow dialogue without speech tags, so I would venture it’s a good idea to use ALL of them sparingly! This way you can use other words in speech tags for impact when you need to, without any problems. VERDICT: Yes AND No – avoid ‘said’ as much as possible, too. Then when you do use a speech tag, you can use whatever you want! Ugh, I’m with Elmore Leonard – and Stephen King – all the way on the dreaded ‘ly’ words in ALL mediums, including screenplays. Hunt them down, pronto! VERDICT: Yes to the max. Kill adverbs with FIRE. Points 1 and 5 on the list means this advice is self-explanatory. If we’re avoiding ‘ly’ words and cliches, you should never need to use them (unless there’s a specific point for them! Ooops!!! Overkill on the exclamation marks again). Well, someone ought to tell Irvine Welsh and Roddy Doyle. Innit. But to be fair to Elmore Leonard he was well-old, so maybe he didn’t have the skillz to write in such a way AND engage readers. Maybe you don’t either, in which case you should do as Elmore says. VERDICT: Nopesville. And YASSSSSSSS. Depends! In the screenwriting world, screenwriters are advised against ‘laundry list’ character description. In other words, they are told they should concentrate on personality, worldview, flaws, etc instead of what they’re wearing. This might seem odd considering it’s a visual medium, but it’s the ONLY way to write a great character. Lots of novelists could learn from this advice, too. VERDICT: Yup! Elmore nails it. Same on the above for this, too. You don’t want to concentrate too much on the little things, as this will bring the flow of your chapters or scenes to a standstill. I call it ‘overwriting’. Literally every writer does this in early drafts though, so don’t panic – just watch out for it in the edit. Elmore Leonard also said, ‘If it sounds like writing, I rewrite it.’ This is a GREAT rule for every type of writer to take on board. 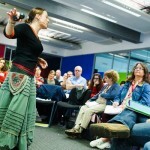 We want great writing that FEELS authentic and real, not like writers indulging themselves. VERDICT: Elmore gets it right again. Thanks Elmore … Good luck , everyone!!!!!!!!!!! (Can’t resist those exclamation marks!!! SorryNotSorry).